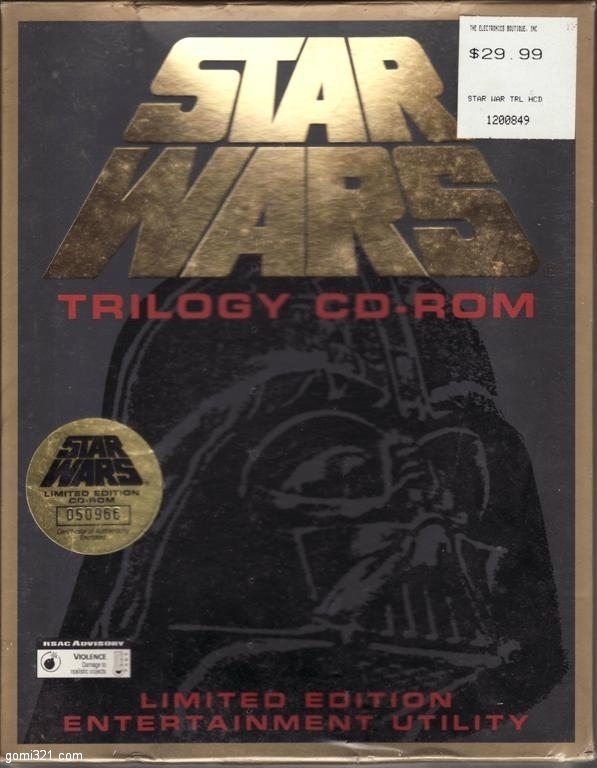 This software from 1994 is for Windows 3.1 and lets you assign a number of Star Wars audio clips to various computer tasks like deleting a file. I have a feeling it would’ve gotten old pretty quickly, but there was a time in my life when I might have liked this kind of thing. It comes on one 3.5″ floppy disk (remember those?) and I actually dug out an old USB floppy drive that I hadn’t used in years just to see what was on the disk. I was able to access the files, but the sound files are in a format that none of my software seems to be able to recognize. From what I can tell from the charming 8-character file names, there were at least a couple of sound clips of Jabba, as well as various other lines and sound effects. I used to have an installation of Windows 3.1 on Virtual PC on my Mac, and I thought about trying to install the software there, but after spending twenty minutes or so trying to get it to run again, I realized that my time would be better spent elsewhere. Still, I really like the box the software came in. LOL, i’ve got one of these at home somewhere. Is there any chance you could upload the WAV files on that floppy so we could all try to use the files? It’s been a while, but I’m sure they weren’t plain WAV files. I know that’s what it shows in the screenshot on the box, but I wouldn’t have had any trouble playing a normal WAV file, so I think they were compressed somehow, or otherwise used a nonstandard format. I don’t want to make them publicly available for reasons of copyright. The files on these CD-ROM’s were in normal WAV file format. Well, I am capable of playing a WAV file. That’s not what was on the disk. I think perhaps the problem was that you had actually install the program for the sound files to be unpacked/uncompressed, and since I no longer have a computer running Windows 3.1 I can’t do that. I’d send you a link – seeing as technically own them – but everyone else reading this probably doesn’t. It’s a conundrum. Thanks, but I don’t particularly need them.